Enjoy these German tales from the past connected to the present through themes of freedom, fear and fighting oneself in the face of death, all embraced by first-class Black Metal. 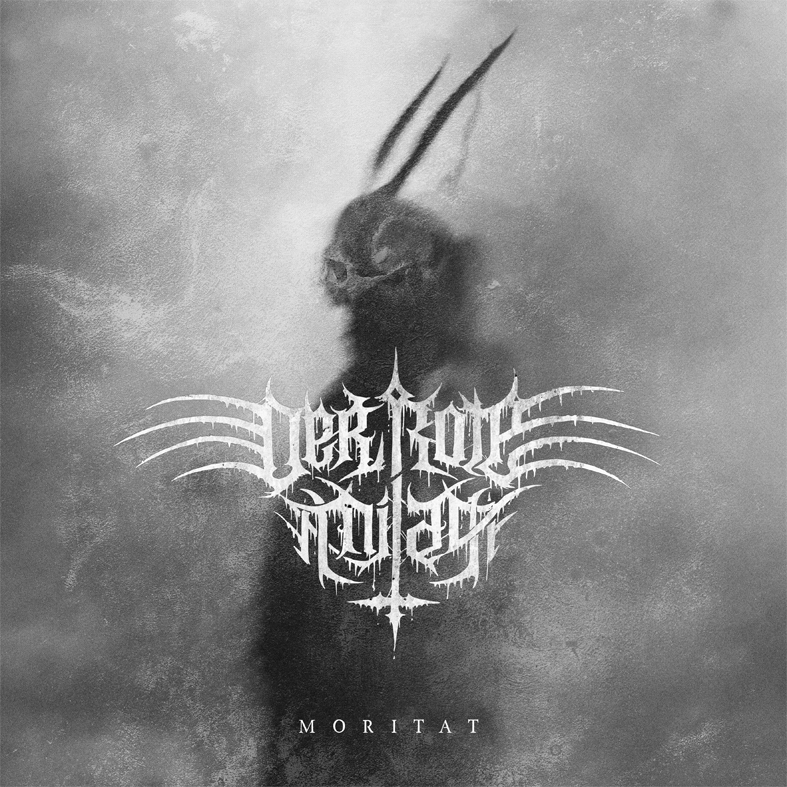 I, II, III, IV and V. More than just Roman numerals, those represent the five pillars of a German Black Metal unity known as Der Rote Milan, who are beyond ready to keep haunting our souls with their second full-length opus, entitled Moritat, the follow-up to and a logical progression from their 2016 debut album Aus der Asche. Not only that, their new album can also be considered a concept release, as Moritat tells local stories based on real events during a thirty-year war that took place during the 17th century, with its central character being the historical figure Schinderhannes, an outlaw considered by some to be the “German Robin Hood”. These stories, which take place in the southwestern Germany’s Hunsrück region, are connected to the present through themes of freedom, fear and fighting oneself in the face of death. Forged in 2015 in the fires of Trier, a southwestern German city in the Moselle wine region lying in a valley between low vine-covered hills of red sandstone in the west of the state of Rhineland-Palatinate, near the border with Luxembourg, Der Rote Milan (which would translate to English as “the red kite”) continue to play Melodic Black Metal in Moritat, finding their identity in a combination of vicious blast beats, catchy melodies, and calm, thoughtful moments. The lyrics are performed in German to underscore the local character of the stories, giving the whole experience of listening to their music an extra touch of aggressiveness, obscurity and pure evil. Comprised of six very detailed and bold songs, Moritat surpasses the 40-minute barrier in great fashion, positioning this cryptic entity as one of the most promising new names of the underground German scene. Gentle notes gradually morph into a brutal but very melodic devastation entitled Die Habsucht (or “the greed” in English), where IV begins fulminating everything and everyone with his demonic beats while lead singer III fires some absolutely enraged roars, with the music flowing majestically until a somber and atmospheric break takes over, powerfully getting back to an infernal Black Metal ending. Then it’s time for I and II to pulverize our ears with their scorching riffs in Drohende Schatten (“threatening shadows”), a lesson in Melodic Black Metal by this Teutonic horde, sounding even more demented and violent than the opening track, whereas Gnosis der Vergänglichkeit (“gnosis of transience”) is an ode to all things dark and mournful with a melancholic Atmospheric Black Metal-inspired intro where III’s otherworldly growls and vociferations sound utterly anguished and grim, while V keeps the ambience menacing with his low-tuned bass. And that intricate and lugubrious vibe keeps haunting our souls in Der letzte Galgen (“the last gallows”), where III growls demonically while his bandmates extract the most vicious and piercing sounds possible from their instruments, with IV once again stealing the spotlight with his precision and technique, getting almost tribal with his beats at times (which in the end enhances the song’s taste and punch even more). There’s no time to breathe with more of their vibrant fusion of classic Black Metal with distinct melodic and atmospheric styles in Der Findling (“the boulder”), reaching deep inside our hearts and blackening them beautifully, with I, II and V being in a fantastic and extremely evil sync with their strings, before the title-track Moritat (“ballad”) brings to our metallic ears 12 minutes of visceral sounds and noises, with the amount of aggression and obscurity flowing from each instrument being truly outstanding. 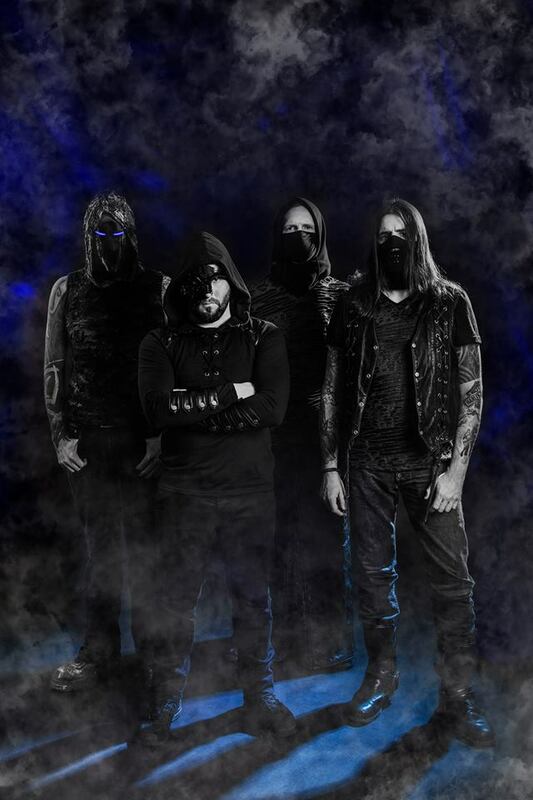 Not only that, IV keeps demolishing his drums in a very precise and melodic way, while the guitars sound and feel extremely sharp, therefore cutting our skins mercilessly, with the music remaining epic until the song’s triumphant and dark finale. In case these simple, straightforward words are not enough to show you how potent and somber the music by those German metallers sounds and feels, you can take a more detailed listen at Moritat in its entirety on YouTube, and of course after getting stunned by their disturbing sonic waves you must check what Der Rote Milan are up to on Facebook, and purchase Moritat from their own BandCamp page, from the Unholy Conspiracy Deathwork’s BandCamp page or Big Cartel, from iTunes or from Amazon. 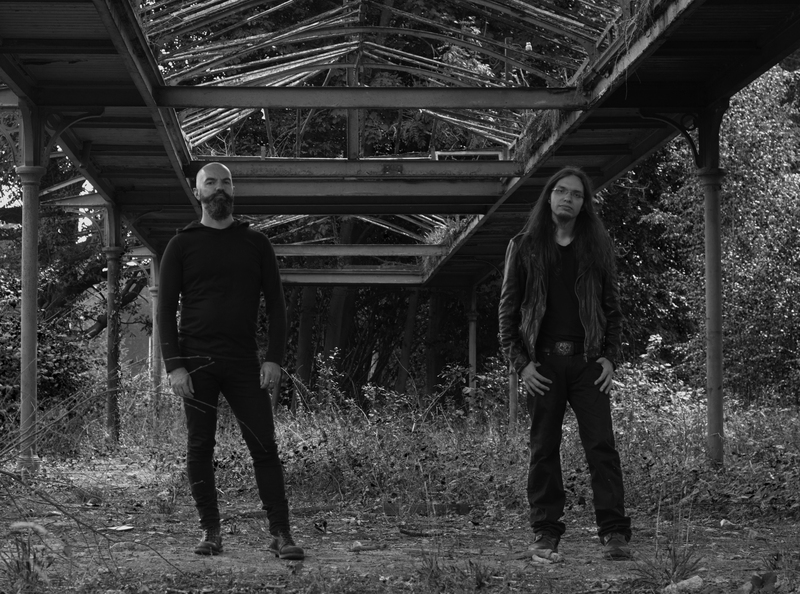 In a nutshell, the gates to the underworld of German Black Metal are open, and Der Rote Milan are right there waiting to claim your soul to the sound of their brand new, pulverizing concept album of first-class Melodic Black Metal. Best moments of the album: Drohende Schatten and Moritat. An unstoppable Black Metal force from Norway returns with their long-awaited fifth album, containing 10 new unrelenting tracks of pure hate and anger. 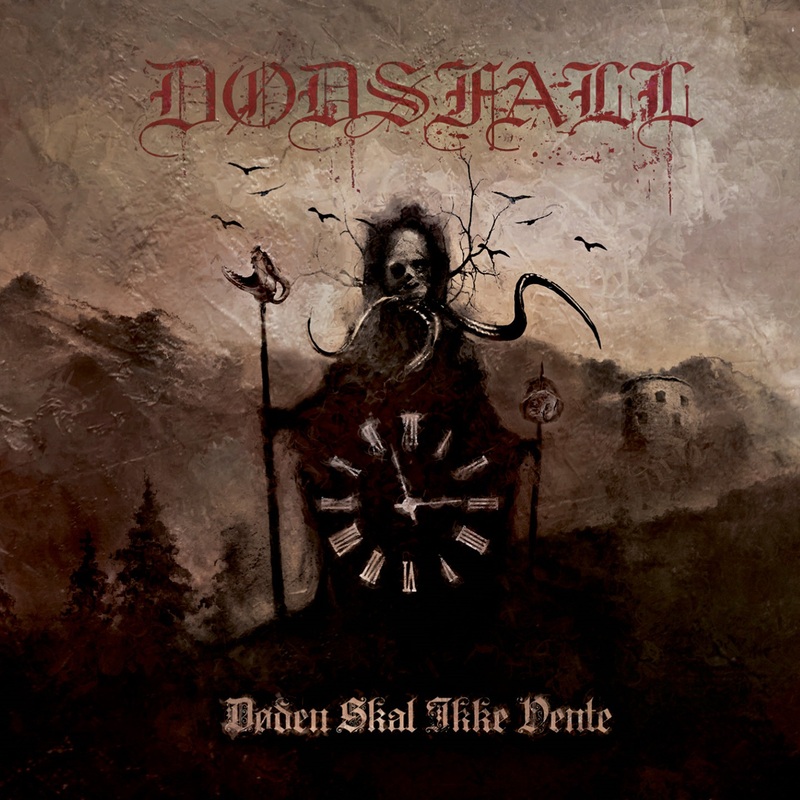 After four years of silence, the unstoppable Norwegian Black Metal force known as Dødsfall returns with their long-awaited fifth album, entitled Døden Skal Ikke Vente, or “death shall not wait” from Norwegian, containing 10 new tracks of pure hate and anger in its best form. And their new album is the result of a huge wave of inspiration that grew up like a snowball after the release of Kaosmakt, in early 2015, resulting in a fresh and creative album holding on to their roots and the sound that was established from the very beginning on the band’s career. It can be described as a successful combination of past and present with new elements and different sources of inspiration, sounding epic, majestic and furious with a medieval touch inspired from the cold lands of the north. Formed in 2009 in Bergen, Norway, but currently located between Gothenburg, Sweden and Oslo, Norway, Dødsfall is the brainchild of vocalist and multi-instrumentalist Ishtar, who together with newcomer Telal on drums (who has been playing with acts like Troll, Isvind, and Endezzma, to name a few) created a sulfurous and dark beast in the form of their new album Døden Skal Ikke Vente. Featuring a crushing, ominous album artwork by underground artist Pazuzuh, who previously worked with the band on the artwork of their album Djevelens Evangelie, from 2013, Døden Skal Ikke Vente will take you on a journey through vast, bitterly cold Norwegian lands, proving once again why Norway is and will always be the birthplace and home of true Black Metal. 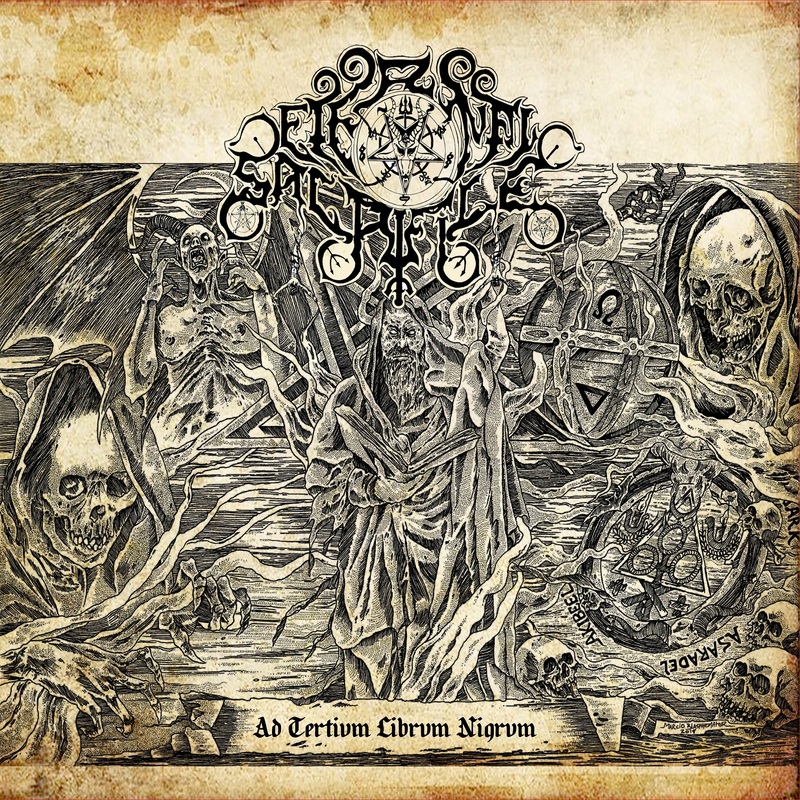 Ishatr and Telal begin disturbing all peace and order with their ruthless blend of old school and contemporary Black Metal in Hemlig Vrede (or “secret wrath” in English), sounding very melodic and aggressive form the very first second and with Ishtar’s demonic gnarls being flawlessly complemented by Telal’s brutish blast beats. Their furious and thunderous Black Metal keeps hammering our heads in Tåkefjell (“fog mountain”), another piercing composition where the guitars by Ishtar sound as metallic as they can be, also presenting lots of breaks and variations, and consequently feeling like three or four songs in one; followed by the obscure and melancholic Svarta Drömmar (“black dreams”), where their Black Metal is darkly infused with Atmospheric Black Metal elements, with its rhythm being dictated by Telal’s precise drums and with highlights to Ishtar’s anguished growls. 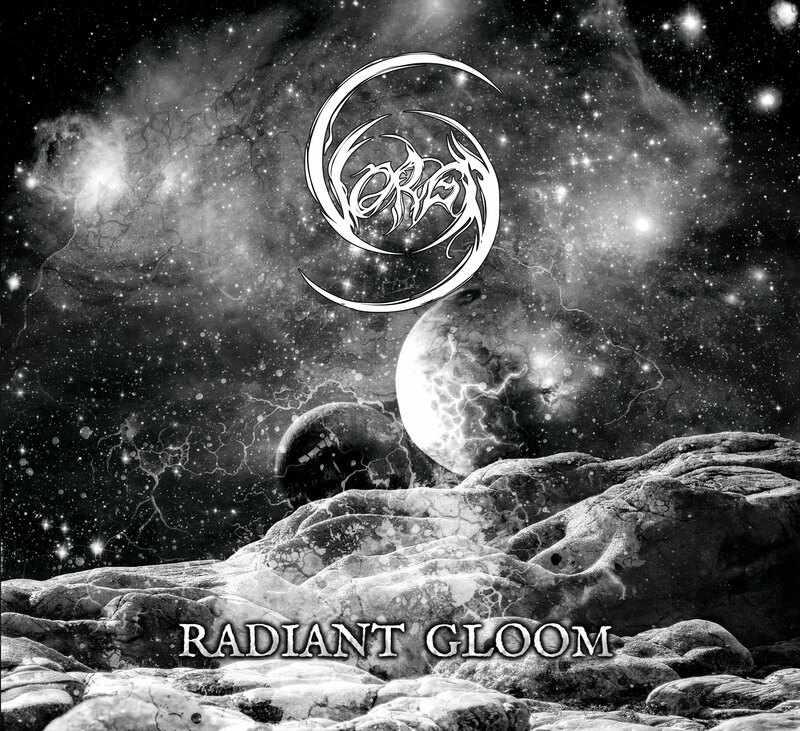 Putting the pedal to the metal this infernal duo delivers a vicious onrush of violent and raw sounds entitled Grå Himlar (“gray skies”), with the riffs and solos by Ishtar cutting our skin mercilessly, and therefore setting the bar high for the rest of the album. 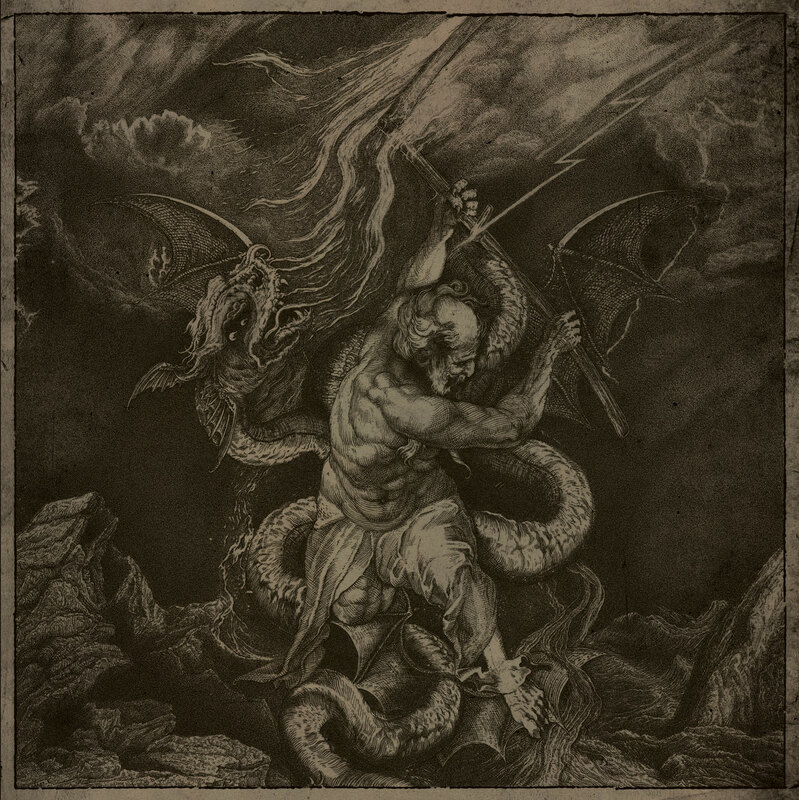 Well, the duo doesn’t disappoint at all in the following track, Kampsalmer (“battle hymns”), a headbanging, marching chant showcasing bestial riffs and demonic roars all enfolded by a truly menacing ambience, and the music remains vile and sulfurous until its epic ending. Then led by the pounding drums by Telal and displaying an inspired Ishatr on the guitar we have the full-bodied, intricate tune entitled I de Dødens Øyne (“in the eyes of death”), a song tailored for admirers of classic Black Metal who also love to raise their horns and slam into the pit in the name of extreme music. Continuing with their feast of incendiary and dark sounds they offer us all Ødemarkens Mørkedal (“the dark valley of the wilderness”), an ode to Scandinavian Black Metal where Ishtar growls and roars in a bestial way while Telal keeps crushing his drums nonstop, whereas the heavy-as-hell guitar lines by Ishtar ignite the flammable För Alltid I Min Sjæl (“forever in my soul”), a mid-tempo Black Metal extravaganza where Ishtar and Telal are on fire from start to finish, sounding as infernal and sharp as possible. The last song of the album, named Ondskapelse (“evil hands”), brings more of their hellish Scandinavian Black Metal infused with Melodic Black Metal nuances, with Telal smashing his drums just the way we love it in Extreme Metal, flowing like rapid fire until the instrumental outro Skogstrollet (“forest troll”) captivates our senses with the howling sound of the cold wind, ending the album on an ethereal note. You can better explore the chilly and vile realm of Norwegian Black Metal crafted by Dødsfall by following them on Facebook, and show your support to such talented duo by purchasing Døden Skal Ikke Vente (available for a full listen on YouTube, by the way) from their own BandCamp page, as well as from the Osmose Productions’ BandCamp or webstore, and from Record Shop X. Let all the frost, hatred and evil flowing from the music found in Døden Skal Ikke Vente embrace you, leading you on a fantastic and somber one-way journey into the absolute darkness and void we learned to love in Norwegian Black Metal. Best moments of the album: Tåkefjell, Grå Himlar and I de Dødens Øyne. Dive deep into the pit of corruption crafted by an evil entity of pure, undiluted second-wave Black Metal to the sound of their highly anticipated fourth full-length opus. Forged in the scorching fires of Wellington, New Zealand in 2007 as a solo project by KG (also known as Krigeist) with the intention of creating pure Black Metal, but currently located in Edinburgh, Scotland, the obscure and devilish entity known as Barshasketh is unleashing upon humanity their highly anticipated fourth album, simply self-titled Barshasketh, conceptually centered on Be’er Shachat, from which the band’s name derives. This term roughly translates as “pit of corruption”, a multifaceted esoteric idea concerning the self existing in a cyclical process that goes through phases of destruction, purification, and ultimate adversarial rebirth. Indeed, that conceptual arc poignantly and perfectly illustrates Barshasketh’s evolution over the years, and finds its apotheosis within the winding corridors of Barshasketh. During its uniquely vast-yet-compact 54-minute run-time, the quartet comprised of KG on vocals, guitars and synths, GM on the guitars, BB on bass and MK on drums, vocals and synths is truly firing on all cylinders, exploring new territory with ambitious compositions and showcasing a certain percussive savagery previously unheard on previous recordings, all within the remit of pure, undiluted second-wave Black Metal. Featuring a menacing cover art and additional illustrations by Artem Grigoryev (Black Typography), Barshasketh’s brand new opus is the purest distillation of the band’s essence to date, pointing to a dark and vile future for mankind as a black sun rises at the dawn of 2019. A somber and menacing atmosphere enfolds the band in the opening track Vacillation, a highly recommended song for admirers of the most obscure fusion of classic Black Metal with Atmospheric and Melodic Black Metal where KG gnarls demonically from the very first note while MK showcases all his skills as the excellent extreme drummer he is, followed by the also grim Resolve, continuing from where the previous tune ended (which obviously means an ode to darkness). Furthermore, KG and GM are in total sync with their scorching riffs, while BB and MK generate a dense background atmosphere with their devilish instruments. Then drinking from the fountain of old school Norwegian Black Metal we have Consciousness I, another visceral creation by the band spearheaded by MK and his unstoppable blast beats, with KG roaring and growling like a true creature form the netherworld, not to mention how the background keys also boost the song’s taste and impact considerably, whereas Consciousness II brings to our avid ears over eight minutes of damned sounds and tones, starting in a cryptic manner before exploding into classic Black Metal for our total delight. The stringed trio KG, GM and BB simply slash our senses with their axes, with the music also presenting some disturbing Blackened Doom-inspired passages. Ruin I sounds and feels brutal and piercing form the very first second, a lecture in Black Metal not for the lighthearted with all band member extracting pure evil from their instruments, in special MK and his demolishing drums, while the second act entitled Ruin II sounds a lot more melodic and obscure, crushing our senses in over seven minutes of putrid Black Metal spearheaded by KG’s infernal growls and MK’s visceral beats, all enfolded by the hellish riffs by KG and GM and flowing majestically until its grand finale. The second to last blast of extreme music by Barshasketh, named Rebirth, is just as demonic as its predecessors, with all instruments exhaling demonic notes, especially KG and GM who penetrate deep inside our damned souls with their guitar lines, setting the tone for the closing song Recrudescense, a tribute to all things evil where the smell of death and despair reeks in the air for over nine minutes, with KG leading his horde of darkness with his visceral growls. Moreover, it’s truly impressive how the music gets more intense and vile as time goes by, with all violence and hatred giving place to a phantasmagorical ending that will haunt our souls forever and ever. Actually, you don’t need all the detailed review and explanation above to purchase your copy of Barshasketh from the W.T.C.Productions BandCamp. All you need to know is that it’s vile, macabre and thunderous, just the way we all love in true Black Metal. Also, don’t forget to follow the band on Facebook, therefore showing your true support to underground extreme music, and finally succumb to the darkest side of Black Metal to the sound of their infernal but at the same time very melodic and dense new album, diving deep into their “pit of corruption”. However, I must warn you that once you join Barshasketh down there, there’s no turning back (as if you would want to return from such distinct place, I might say). Best moments of the album: Vacillation, Consciousness I and Recrudescense. Worst moments of the album: Rebirth. This unstoppable Belgian duo returns with a brand new EP only six months after their latest full-length album, offering the listener 24 minutes of classy extreme music rooted more firmly in the Post-Black territory. Formed in December 2012 in the city of Brussels, Belgium mostly influenced by bands such as Agalloch, Drudkh, Alcest and the early days of Katatonia, the talented Atmospheric Black Metal duo that goes by the name of Soul Dissolution returns only six months after their critically-acclaimed opus Stardust with a brand new 2-track EP simply titled Nowhere, offering the listener 24 minutes of classy extreme music rooted more firmly in the Post-Black territory, drawing additional inspiration from bands like Harakiri For The Sky, Heretoir and Anomalie while still retaining the core atmosphere, dynamics and melodies from their previous material. Comprised of Acharan on lead vocals and Jabawock on guitars, bass and additional vocals, Soul Dissolution are one of those underground acts that are not afraid of experimenting with different sounds and nuances, but always true to their origins, and that’s perhaps what makes Nowhere so compelling and vibrant form start to finish. 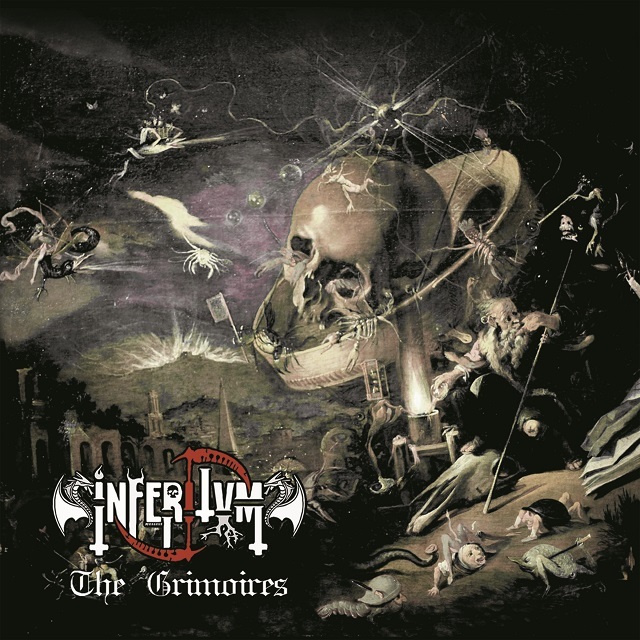 Featuring a grim cover picture taken by Jabawock on a misty morning in the Vosges region in France, and presenting Celestial as their session drummer for the first time (in addition to him being a part of the band’s live lineup), Nowhere will take you on a journey full of epicness and melancholy, all enhanced by the album’s crystal clear overall production, paving an exciting path for Soul Dissolution to keep mesmerizing us all with their music in a not-so-distant future. Melancholic guitar lines kick off the first of their two “musical voyages”, entitled Road to Nowhere, a lecture in Atmospheric Black Metal where the beats by Celestial are at the same time fierce and delicate while Jabawock slashes his guitar strings majestically, piercing our ears and minds with his whimsical riffs and solos. Furthermore, all elements from Melodic Black Metal found in the musicality bring an extra taste to their core Atmospheric Black Metal, majestically flowing like a wild river, not to mention the song’s captivating lyrics growled by Acharan in a truly anguished manner (“Under the moonlit sky/ Winds carry new words / For songs yet to come to life / Under the moonlit sky / Winds carry my steps / Pushing me forward on my road to nowhere”). Then even more obscure than its predecessor, Fading Darkness presents hints of Blackened Doom and Doom Metal in its core sound, with Soul Dissolution mesmerizing our senses with their deep gnarls, solid string work and precise drumming, bulding the perfect ambience for the poetry flowing from the song’s introspective words (“These thick, black woods / With trails long overgrown / This journey I started many years ago / The last time I saw the sun / This mountain on which I roam / Constantly surrounded by thick fog / Its sinister presence all around / Drains all life therein to be found”). 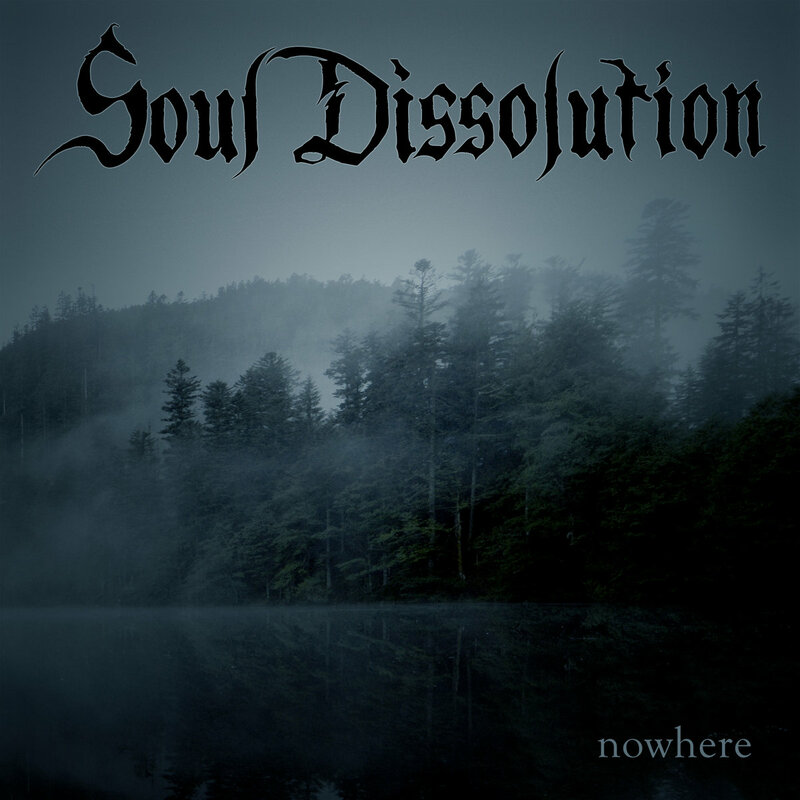 The full EP is available for a detailed listen on YouTube, and you can show your true support to Soul Dissolution by following them on Facebook, by listening to their music on Spotify, as of course by purchasing Nowhere from their own BandCamp page, from the GS Productions’ BandCamp or webstore, from iTunes or from Discogs. If the music found in Nowhere points to what we can expect from Soul Dissolution in their future releases no one knows for sure, as Acharan and Jabawock love to explore new grounds and nuances, but if there’s one thing we can be certain about is that the duo will keep delivering first-class atmospheric music for our total delight in the coming years, always surprising us in a very positive way and always loyal to their foundations. Best moments of the album: Road to Nowhere. 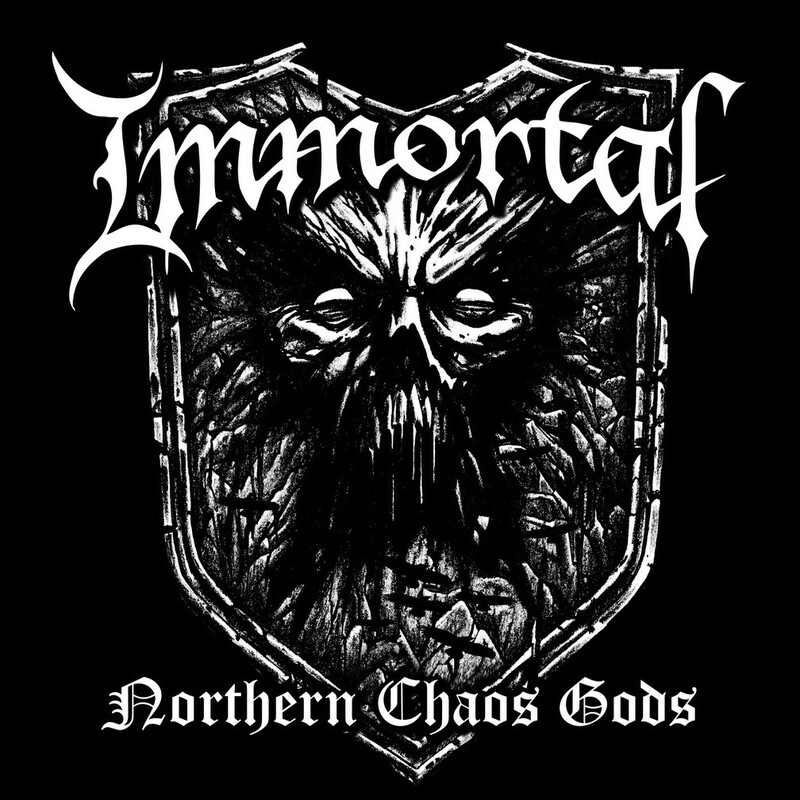 The Gates of Blashyrkh have finally opened again now in 2018 thanks to Bergen’s own Black Metal institution Immortal, who after nine long and excruciating years of the release of their 2009 album All Shall Fall are back in action with a brand new opus titled Northern Chaos Gods, a beyond fantastic comeback for one of the trailblazers of Norwegian Black Metal. 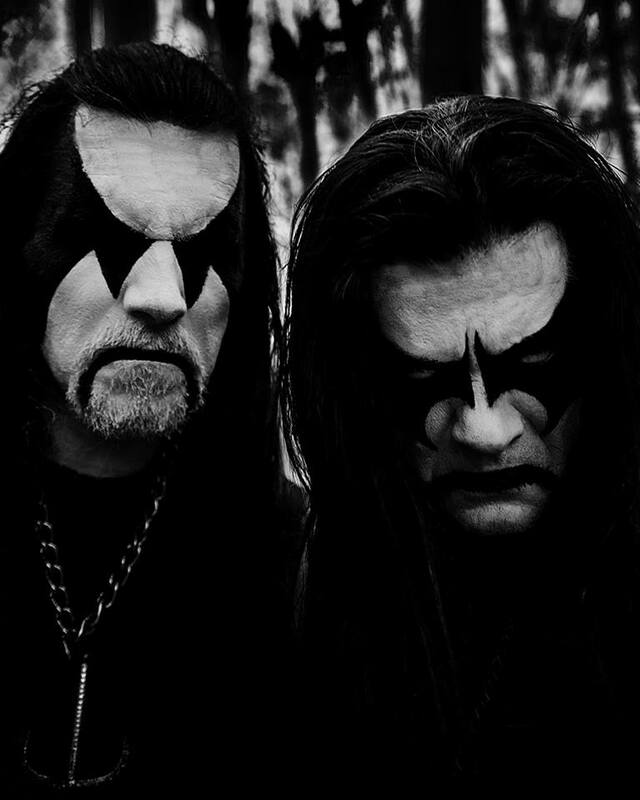 The first album after the departure of founder, frontman and guitarist Abbath from the band in 2015, Northern Chaos Gods marks the longest gap between two studio albums by Immortal, but the wait was definitely worth it as Immortal sound extremely sharp and vile throughout the entire album, proving once again why they’re still an unstoppable force of frost and ice. Featuring a dark and straightforward cover art by Norwegian artist Jannicke Wiese-Hansen, Northern Chaos Gods showcases an inspired Demonaz (Harald Nævdal) on vocals and guitar (for the first time since 1997) and a brutal and extremely precise Horgh (Reidar Horghagen) on drums, accompanied by guest bassist Peter Tägtgren. 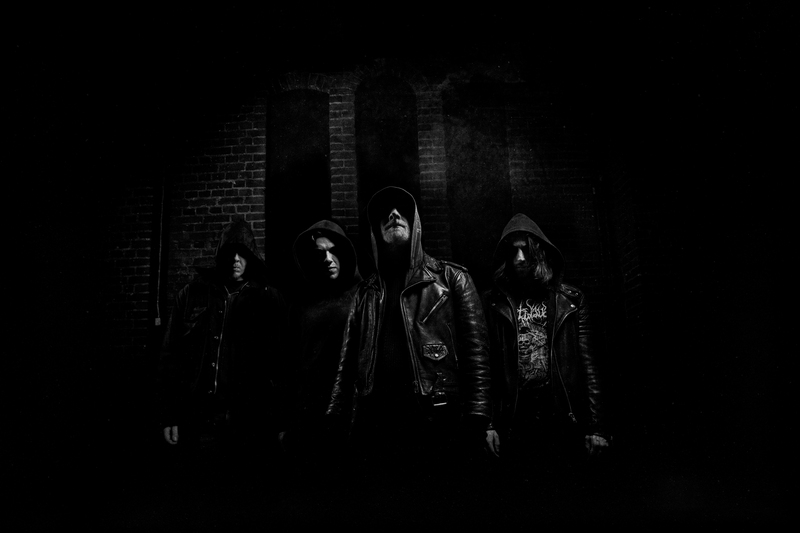 In an interview before the album’s release, Demonaz said he wanted to make the album as “grim, dark and cold as possible”, and Immortal more than succeeded in their quest for extreme music, delivering a raw piece of Norwegian Black Metal that takes the band right back to its early sound. Each and every song in Northern Chaos Gods is a lecture in darkness, pointing to a bright (or I should say obscure) future ahead of a band that might have suffered a few losses since their inception in the far, far away year of 1991, but that stands triumphant and loyal to their roots no matter what. The title-track Northern Chaos Gods comes crushing mercilessly in an absolute sonic devastation blasted by Demonaz with his fulminating riffs and Horgh with his classic Black Metal blast beats, resulting in a truly old school tune but without sounding obsolete or cheesy, not to mention the excellent job done by Demonaz with his infernal roars. As violent and somber as its predecessor, Into Battle Ride is an ode to Black Metal with highlights to the lancinating guitar lines by Demonaz and the thunderous bass lines by Peter, also bringing inspiring lyrics vociferated by Demonaz (“The sword of thunder and lightning is on the rise / From the north the gods of wrath descend / The storm of war nearing, black in its sign / Now vengeance shall enter again, feared by mortals / Our yearning steel strong hands / Thundering hooves strike above dying men / Down the black valleys arise through the haze / From the mountains, hear battle and death”); whereas Gates to Blashyrkh is a lot more melodic and rhythmic, perfect for banging your head and raising your horns to the hellish duo Demonaz and Horgh. Put differently, simply ride together with Immortal to the Gates to Blashyrkh and enjoy a huge dosage of top-of-the-line Melodic Black Metal invading your senses. And Grim and Dark is another cadaveric and sinister creation by this Norwegian entity, led by the slashing riffs by Demonaz while Horgh keeps crushing his drums nonstop, flowing majestically until its crisp and ominous ending. There’s no time to breathe with more traditional Black Metal in Called to Ice, with Demonaz’s visceral riffage being effectively accompanied by the galloping sound of drums and bass in five minutes of classic Norwegian Black Metal for diehard lovers of the genre, before a smooth and melancholic intro quickly explodes into a lecture in modern-day Black Metal in Where Mountains Rise, a headbanging tune where Horgh’s beats sound amazingly crisp and heavy while Demonaz keeps slashing his strings with sheer precision and vocalizing the song’s beautiful, poetic words (“For the mighty mountains I ride / Through the woods beyond the snow / Like a fire among the stars, beyond the clouds she rise / There’s no fire from the sun, in this dark under the moon / My blackened sight beholds the stars, and fallen suns below”). Back to a more extreme and piercing sonority we have Blacker of Worlds, where Horgh presents his violent bulldozer mode and with Demonaz and Peter delivering a storm of blackened sounds through their stringed weapons, hammering our heads until Mighty Ravendark strikes our minds like a thunderbolt, exhaling malignancy, darkness and evil. 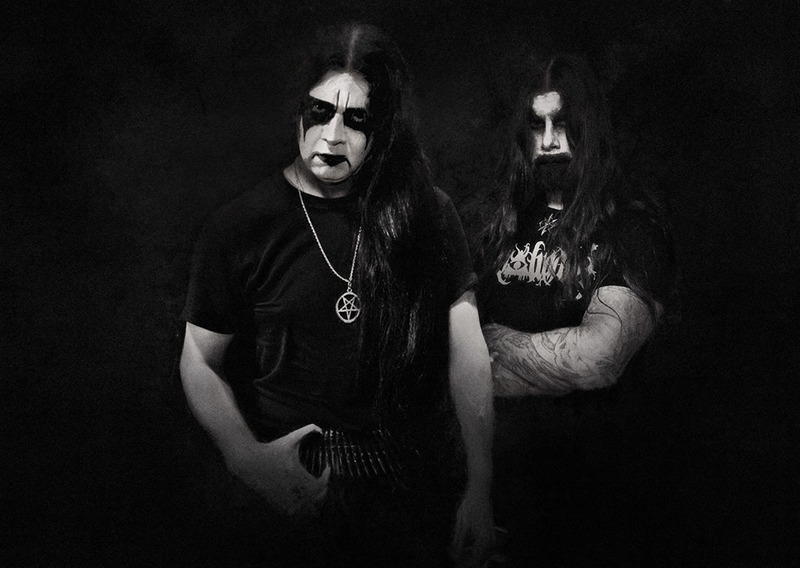 Moreover, Horgh and Peter generate a massive wall of sounds with their drums and bass, respectively, while the hell raiser Demonaz keeps growling and gnarling in a devilish manner during the song’s over nine minutes of Epic Black Metal, putting a majestic ending to one of the best comebacks in the history of metal. 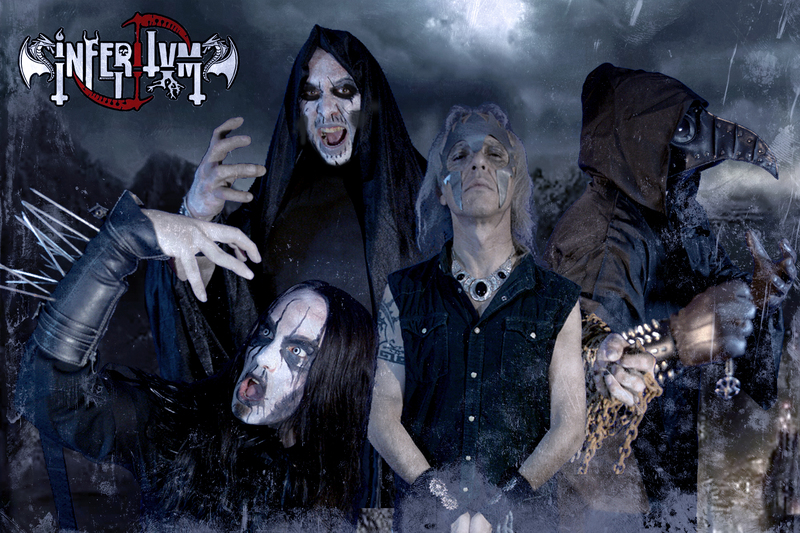 In summary, Northern Chaos Gods, available in different formats from the Nuclear Blast website, is more than just a comeback as already mentioned, but the rebirth of one of the biggest exponents of classic Black Metal even when no one else believed the band could get back on track after such turbulent period in their career. Well, they’re not called Immortal in vain, and after such pulverizing album we can rest assured Demonaz and Horgh will keep the flame of Norwegian Black Metal burning bright wherever they go. 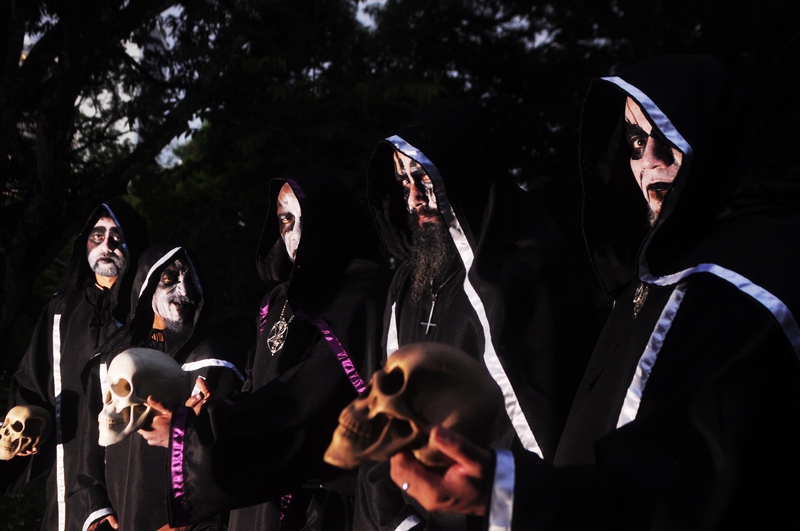 Because in the end we’re talking about the true “Northern Chaos Gods of Black Metal”, and they’ll keep riding into the battlefield side by side with us, fans of extreme music, until their final and bitterly cold breath. Best moments of the album: Northern Chaos Gods, Where Mountains Rise and Mighty Ravendark. Embark on an adventurous journey with Taiwanese immortals to the sound of the new opus by the Taiwanese masters of Orient Metal. 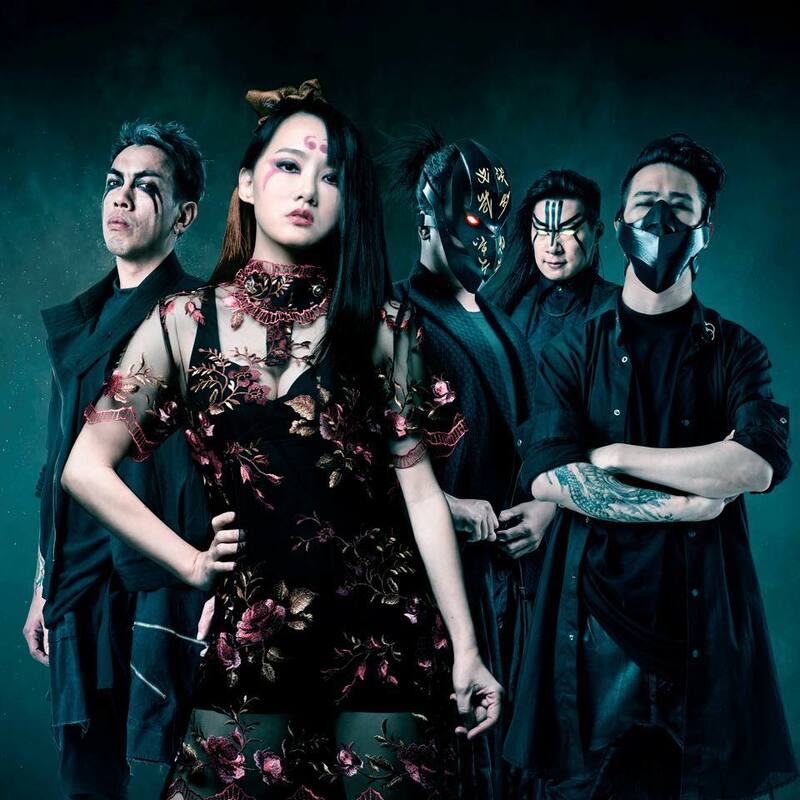 It might have taken five years for one-of-a-kind Taiwanese Melodic Black/Death/Folk Metal icons Chthonic to strike again with their high-end fusion of a captivating storytelling and their unique and exotic music that several people like to call “Orient Metal”, but the excruciating wait was definitely worth it. Over those past years, since the release of their 2013 masterpiece Bú-Tik the five members of the band have turned new pages of their lives, with lead vocalist Freddy Lim (林昶佐) having organized a new political party and being successfully elected to a seat in the Taiwanese parliament. Nonetheless, they never forgot their promise to their fans to deliver a new album, culminating with the release of Battlefields of Asura (政治) now in 2018, the prequel of their four albums with related story including Seediq Bale (2005), Mirror of Retribution (2009), Takasago Army (2011) and the already mentioned Bú-Tik, all combined with the acoustic album from another dimension Timeless Sentence (2014), the expanded novel Day 578 After the War (2014), and the movie Tshiong (2017). And the story told in Battlefields of Asura by Freddy and his bandmates Jesse Liu (劉笙彙) on the guitars, Doris Yeh (葉湘怡) on bass and backing vocals, CJ Kao (高嘉嶸) on keyboards, synths and piano, and Dani Wang (汪子驤) on drums throughout the album’s 11 tracks is an adventurous journey with Taiwanese immortals, as explained in detail in the band’s “Souls Resposed” series. What lies ahead is full hostility, murderous emotions, walls of iron that are difficult to conquer, and lusts and desires that are not easy to bid farewell to, but there is also courage that inspires infinity. At the end of the adventure, it turns out to be a quest for the perpetual prajna. When you feel tears on your face, that’s when you will finally realize this is where all the stories told in Chthonic’s past albums come from, always embraced by the band’s harmonious, thunderous and unparalleled metal music. Drawing Omnipotence Nigh, featuring Fang-Yun Chen on dizi (a Chinese transverse flute), is an insurgent battle-like intro only Chthonic can offer us, setting the stage for the melodic and imposing The Silent One’s Torch, the perfect opening for their upcoming live concerts with Dani dictating the rhythm with his piercing beats while Freddy’s roars grow in intensity and rage as the music progresses, not to mention CJ’s always inspiring keys. Even more harmonious and thrilling, Flames upon the Weeping Winds has all it takes to become a fan favorite, with Doris not only shaking the foundations of earth with her bass punches, but her backing vocals also sound superb; followed by A Crimson Sky’s Command, another inspiring creation by Chthonic where CJ’s keys and synths sound and feel the most “Taiwanese” of the entire album (if we can say so), with highlights to the passionate growls by Freddy and the cutting riffs by Jesse. Featuring Lamb Of God’s own frontman Randy Blythe on additional vocals, Souls of the Revolution is a flammable and rebellious anthem thoroughly crafted by our beloved Taiwanese horde where Jesse and Dani are on absolute fire and in perfect sync, elevating the song’s impact to a whole new level (not to mention it’s perfect for singing along with the band), whereas Taste the Black Tears carries a beautiful name for a crushing and epic tune, with Doris and Dani spearheading the band into the battlefield. Furthermore, the keyboards and synths by CJ bring an extra dosage of epicness to the overall result, with the music flowing powerfully form start to finish. And in One Thousand Eyes a dense and bold intro evolves into classic Chthonic, with Freddy gnarling like a demonic entity while CJ brings balance to the sonic havoc blasted by the band with his smooth keys, all boosted by the song’s extremely effective and exciting backing vocals and Jesse’s gripping guitar solo. Then we have Masked Faith, a whimsical and at the same time fierce bridge to Carved in Bloodstone, bringing elements form Epic Metal to their core Orient Metal. However, what starts in a promising way loses its strength after a while despite its imposing backing vocals and pounding drums, but that doesn’t last long as Chthonic are back on track with the fulminating Millennia’s Faith Undone, featuring Denise Ho (also known as HOCC) on vocals and Su-nung Chao on erhu (or hiân-á violin). This is undoubtedly the closest song to their previous installments Bú-Tik and Takasago Army, sounding epic, dense and electrifying, with highlights to the slashing work done by the band’s stringed duo Jesse and Doris, resulting in a true battle hymn by those unrelenting Taiwanese metallers, flowing into the ominous and stylish outro Autopoiesis. In addition, don’t forget to check the song’s acoustic version called Millennia’s Faith Undone (The Aeon’s Wraith Version), just as epic as the regular one. 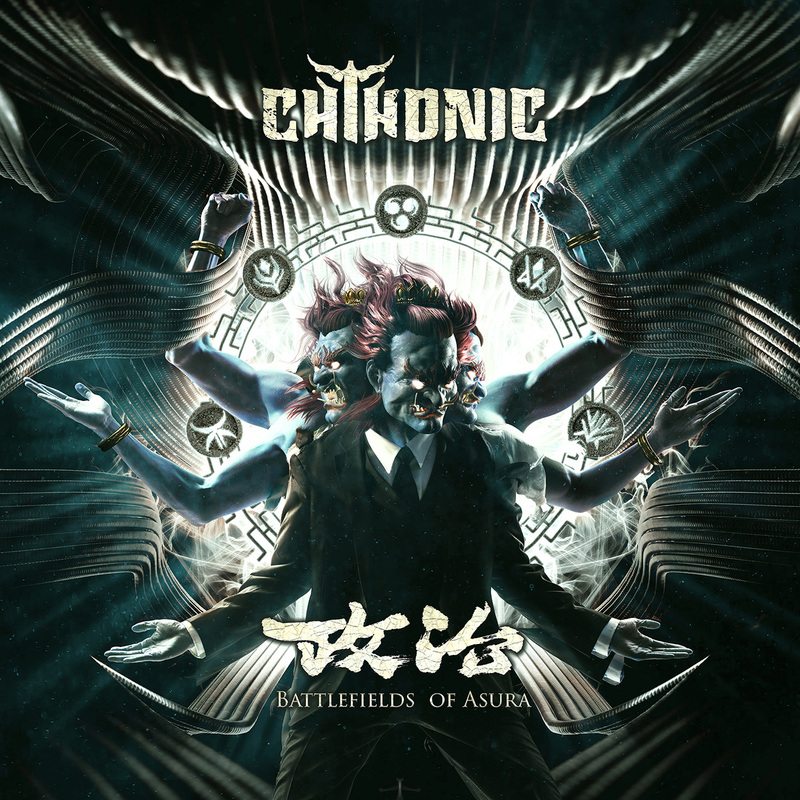 It doesn’t matter if you’re a longtime fan of Chthonic or a newcomer to their sonic realm of rebellion and war, you’ll certainly have a blast listening to the top-of-the-line music found in Battlefields of Asura, proving why they’re perhaps the best metal band the East has ever provided the world. Needless to say, this is a must-have album in your metal collection, available at several locations such as IndieMerch, but if I were you I would go for the Battlefields of Asura Box Set available from the Ciong Zo webstore, including a long-sleeve shirt reflecting the song “Flames upon the Weeping Winds”, a cap reflecting the song “A Crimson Sky’s Command”, prayer beads reflecting the song “One Thousand Eyes”, a badge of honor reflecting the song “Taste the Black Tears”, a candle cup reflecting the song “The Silent One’s Torch”, the Taiwanese version of the album in CD format, a special “Millennia’s Faith Undone (The Aeon’s Wraith Version)” 7″ vinyl single, and a treasure box reflecting the song “Carved in Bloodstone”. Then, and only then, you’ll be properly (and fully) armed to join Freddy, Jesse, Doris, CJ and Dani into the Battlefields of Asura. Best moments of the album: Flames upon the Weeping Winds, Souls of the Revolution, Taste the Black Tears and Millennia’s Faith Undone. Worst moments of the album: Carved in Bloodstone. 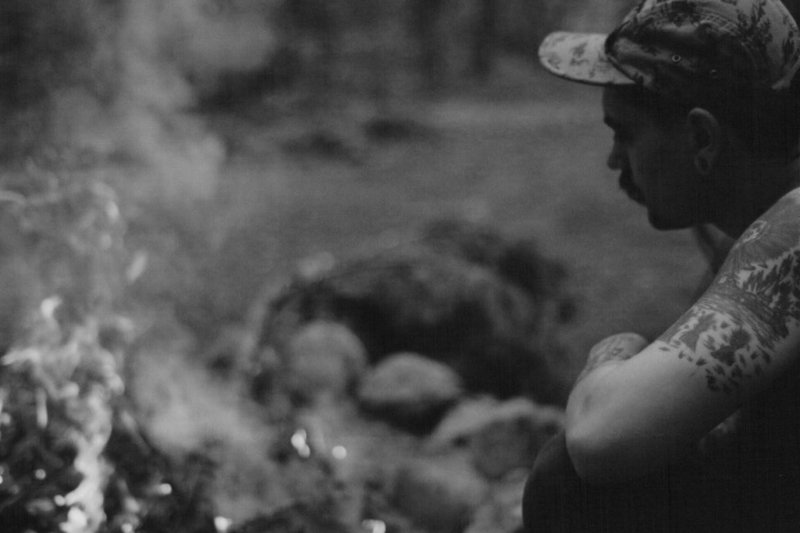 Forging the New Wave of American Black Metal, behold this talented one-man army from Portland, Oregon and his brand new melodic, aggressive and bestial full-length opus. Forging the New Wave of USBM (or American Black Metal), Portland, Oregon-based one-man army Elegiac is into this creative and productive overwhelming attitude that all the most influential bands of the 90’s were in at their very beginning, dwelling with the most typical references of the early Scandinavian heritage influenced by the more pragmatic synthesis of the USBM roughness in the project’s brand new opus entitled Pagan Storm. Since its inception in 2014 in San Diego, California by vocalist and multi-instrumentalist Zane Young (from several underground acts such as Airengrav, Blitzgeist, Gormanudr, Lord Impotent and Tideless), Elegiac has released three EP’s and four full-length albums, as well as a demo and several split albums, but it’s with Pagan Storm, which features a classy and epic cover art by Joe McEvoy, that this Black Metal beast has reached its most melodic, aggressive and flammable shape and form. Zane wastes no time and quickly darkens our minds with his sluggish Doom Metal-inspired beats and demonic gnarls in the opening track titled Rituals of War, evolving into a dissonant and Mephistophelian feast of Black Metal without a single empty space in its over eight minutes of obscurity. Then we have Allegiance and Honor, more brutal and piercing than its predecessor, presenting darkly poetic lyrics (“Calling to the gods of my blood / Deep within my memory / Return my mind to the patterns of old / And teach me the wisdom now tossed away / By the desert god of Abraham / A true plague of the mind and flesh / An empty shell… / An empty slave… / An empty shell… / An empty slave… / Molded for their every will…”) and leaning towards contemporary Melodic Black Metal, with Zane’s roars reaching a truly infernal level throughout the entire song; and dark clouds of Black and Doom Metal spread upon humanity in the 10-minute aria Somber Morning, where Zane delivers the most Stygian guitar lines and delicate but vile beats of the whole album in a demonic display of extreme music that will haunt the souls of the lighthearted. And strident guitar lines kick off the also blackened extravaganza named Through Ancient Eyes, where Zane keeps growling like a demonic entity while pounding his drums in a damned and somber manner. Put differently, if you love the rawest and most sulfurous form of underground Black and Doom Metal, this song is just perfect for you. A lot more vibrant and electrified than its predecessors, Purity of Winter brings forward a rumbling and dense sonority for our avid ears, or in other words, a lesson in visceral Black Metal with both guitar and bass lines sounding as crude as they can be, resulting in an enfolding fusion of melancholy, crushing sounds and tones, and the desolation of the winter. In Golden Fires of Victory we face the menacing, obscure gnarls by Zane accompanied by his blast beats and demented guitars, sending a sound message to the unbelievers that the gates of hell are open and darkness is upon us, feeling vile and crushing from start to finish; whereas in the title-track Pagan Storm the talented Zane takes his fury to a whole new level, growling and screaming in the most bestial way while unleashing demonic but at the same time very harmonious riffs from his guitar, once again adding a considerable dosage of modern-day Melodic Black Metal to his raw core sonority. And last but not least, how about 10 minutes of melodic and dynamic Black Metal to darken your metal heart even more? That’s what Zane offers in the closing tune Ancient Spirit, a fantastic “waltz of the damned” where his anguished lamentations add an extra layer of melancholy to the musicality, while his flammable riffs keep invading our ears until the music fades into pitch black darkness. The somber and eccentric world of extreme music crafted by Zane and his Elegiac can be better explored by visiting the project’s official Facebook page, and of course if you have what it takes to dive deep into the crypts of Hades together with Zane you can purchase Pagan Storm from the ATMF’s BandCamp page or webstore. 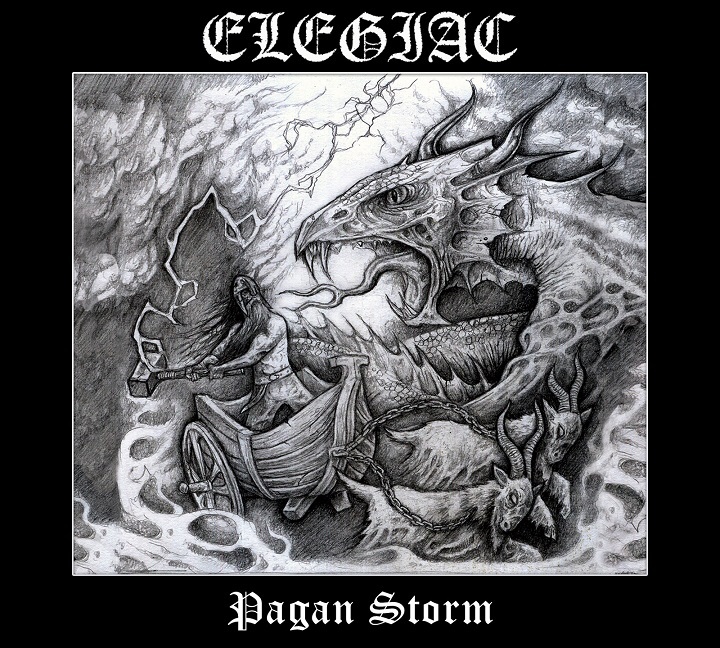 Hence, after listening to this potent and hellish opus by Elegiac, I bet USBM, our beloved American Black Metal, will be one of your favorite genres whenever straightforward and devilish extreme music is needed in your everyday life, with Pagan Storm becoming your personal reference in the underworld of heavy music. Best moments of the album: Purity of Winter, Pagan Storm and Ancient Spirit.